Madonna di Medjugorie wall tapestry shows a rendition of the mother Mary. The name refers to Our Lady of Medjugorje or Queen of Peace was believed to have appeared to children in the Bosnian town in 1981. 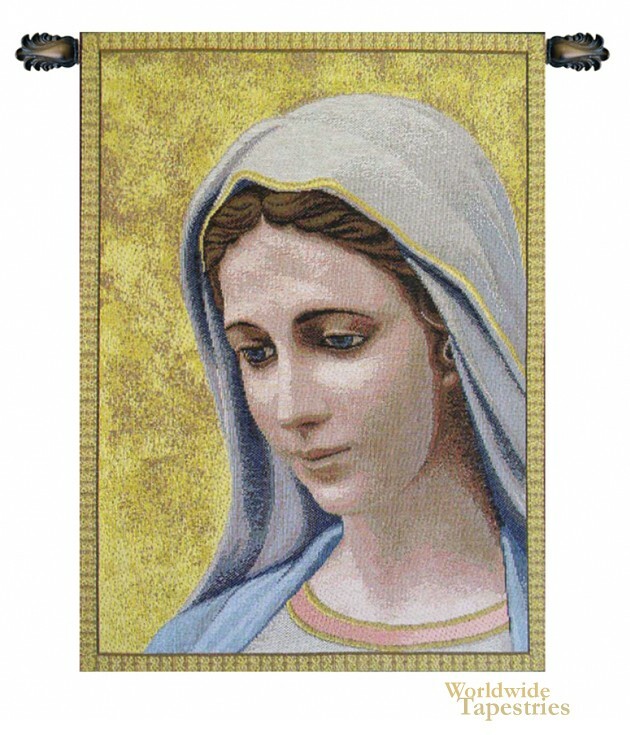 Here we see her in a simple blue, pink and yellow garment on a golden background. Madonna di Medjugorie tapestry is backed with a lining and a tunnel for easy hanging. Note: tapestry rods and tassels, where pictured, are not included in the price. Dimensions: W 7" x H 10"